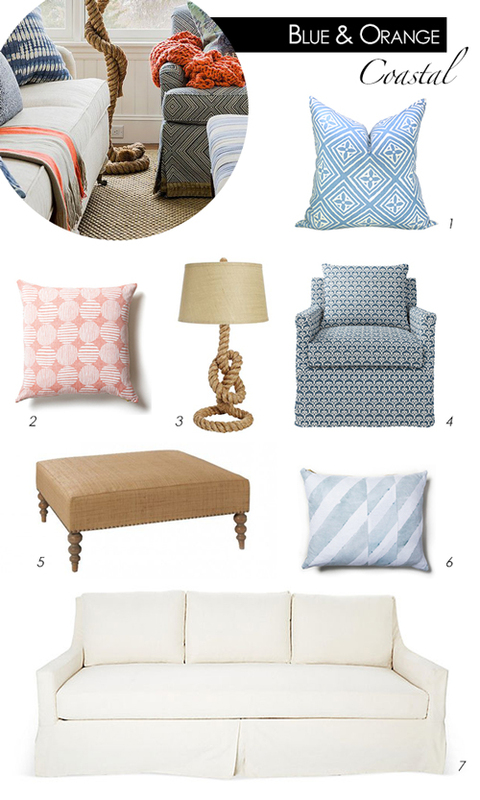 What resonates with you when you think about coastal interiors? The combination of orange and blue is not usually a pairing that comes to mind, for me at least. I think that's what makes this family room, designed by Katie Rosenfeld, so refreshing. It's a great example of choosing creating a design scheme that compliments the space's environment without overplaying or overstating the obvious. 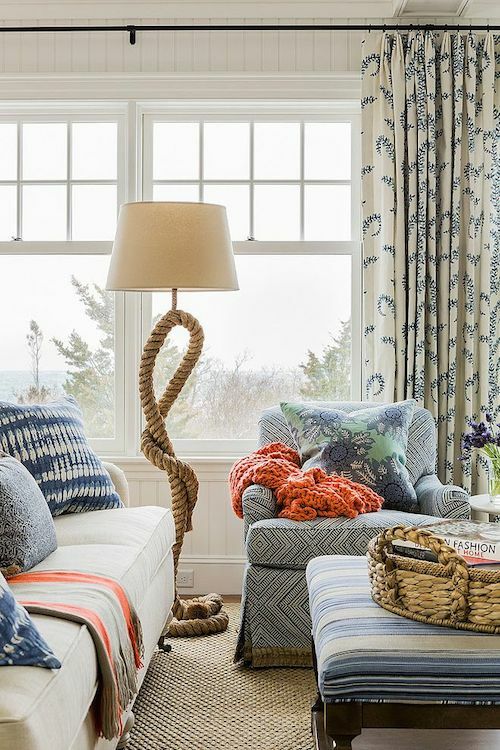 This home is coastal but the only obvious indicators are the rope lamp and the beadboard wall treatment. The patterns and colors of the materials are fun and playful but could easily fit into a suburban family room. 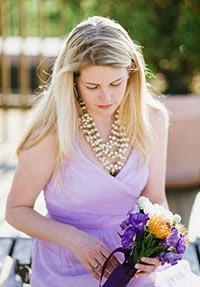 But put everything together and you instantly get a coastal vibe without including the obvious nautical motifs.